Slavery in the UK was abolished by an act of Parliament in 1833, and with the exceptions of territories in the possession of the East India Company, the Island of Ceylon and the Island of St Helena it was illegal to ‘own’ a slave, or indeed to enslave anyone. Many slaves were abducted from their countries of origin and sold to those who exploited them for whatever purposes their ‘owners’ deemed fit. There is a marked difference between a slave and a mistress. A slave is ‘owned’, but a mistress offers her services willingly. A slave may not be paid or paid very little for his labour, but generally a mistress will receive favours from the one with whom she has a relationship. More often than not there will be a sexual element to the association. I must state that I’ve never had a real mistress, nor have I ‘owned’ a slave, and there is no way my wife would ever allow me to treat her as slave; furthermore, I do not 'own' her, but I do have a secret that everyone who reads this blog knows about. Now that statement contains a misnomer, because a secret is not a secret if the subject is commonly known. However, I’ve had many mistresses in the form of waterborne vessels, mostly with sails and nearly all of them pretty to look at. My most recent mistress was ‘Minnow’. She was not the prettiest, but she had many fine attributes. Note the past tense, which indicates that our union is no more, because she has been pledged to another. To the best of my knowledge she is not being sold into slavery, but she willingly goes with an expectation of a relationship akin to that of a mistress, i.e., she will be favoured, pampered and maintained. From the foregoing, you can take it that ‘Minnow’ has been sold and that she is no longer available for purchase. 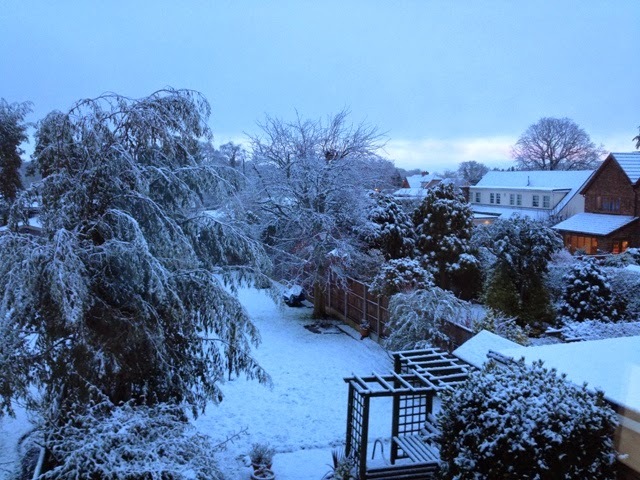 This morning I woke up to find a blanket of snow over the ground, which was a bit unfortunate, because I had agreed to have an enquirer look at ‘Minnow’ with a view to possibly buying her. As he was coming all the way from Blakeney in north Norfolk, I didn’t want him to be disappointed by not being able to see her in the open. However, commonsense and courtesy told me that I should text him to explain that I was not prepared to take the boat out of the garage, and accordingly I advised him not to come. I sent two messages, but I did not receive a reply; therefore I assumed he was not coming. How wrong I was! At the appointed time of his planned arrival he knocked on the door. 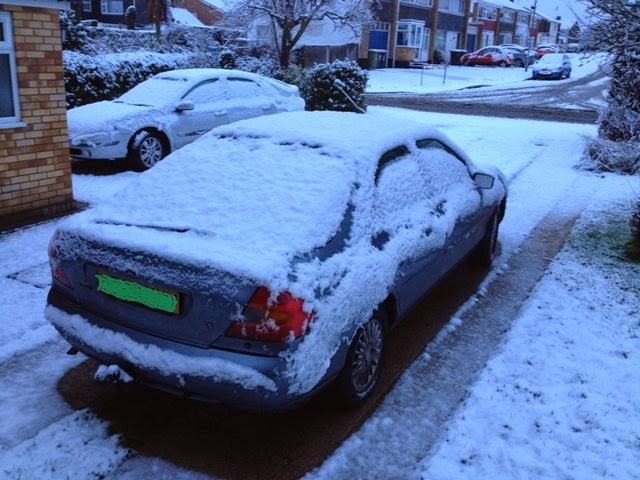 Completely unprepared, I led him to the garage where he found ‘Minnow’ as she was, in her state of hibernation. He was very contented for me to leave him to explore the boat before asking questions to clarify a few points. 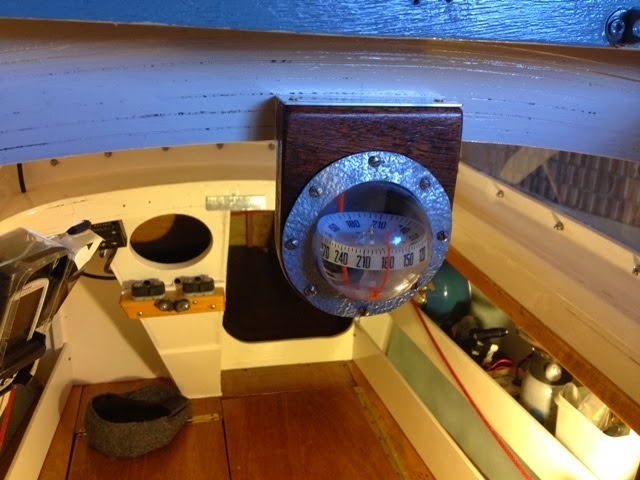 I felt apologetic about not being able to take ‘Minnow’ outside for him to step the mast and to play with her rig, but he assured me that under the circumstances it would not be appropriate. As is usual with prospective buyers, he said he wanted to think things over before deciding whether to make an offer. I am therefore waiting to hear from him. *Meanwhile, if there are any other interested persons, please get in touch by phoning or texting me on my mobile: 07588288060. The first to make an acceptable offer and to place a 10% deposit with a guarantee to complete full payment within a fortnight will have her. She can be left in my garage until the spring, if that is what you would want. I am happy to deliver her on her trailer to any location within a hundred miles radius of Hockley, Essex, free of charge, and beyond that for an agreed payment to cover my costs. *Note: 'Minnow' was sold on 31st January, 2015. 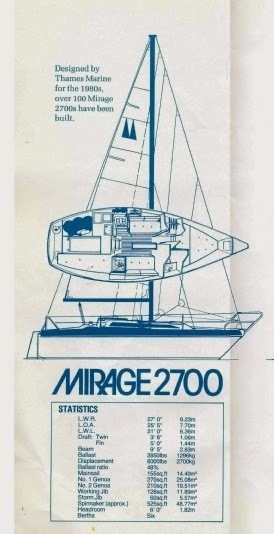 Here we have another development of the Mirage range of yachts by Thames Marine. 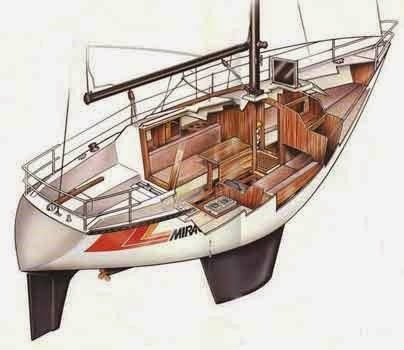 You’ll note that the 2700’s deck has been raised higher than the Mirage 28’s deck by the addition of a lip around the entire moulding. 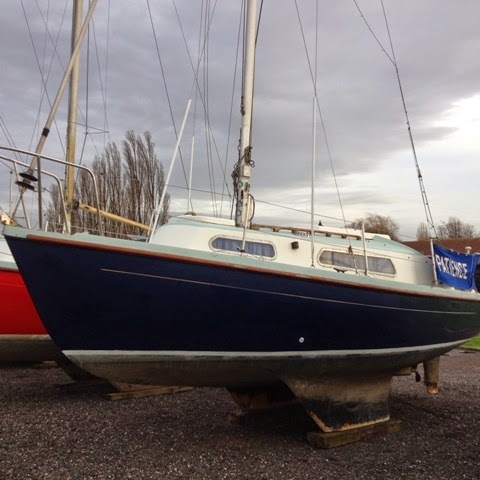 Apart from that she’s similar to the Mirage 28, but shorter by more than a foot on account of her stern being truncated and the transom being more upright. The upper moulding and a lower profile cabin trunk of the 2700 account for both boats having the same headroom of 6’. 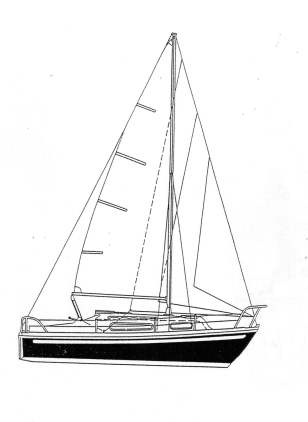 The fin keel version has more draught than the 28. 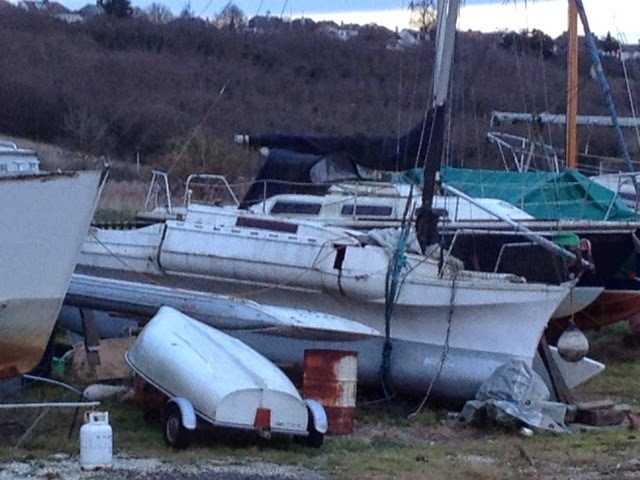 There are loads of these Mirage 28 yachts for sale. At Apolloduck* alone, there are a dozen at the time of uploading this short article. 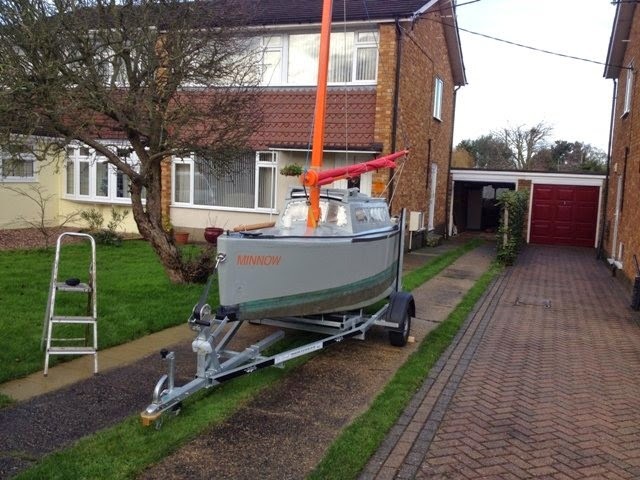 Designed by David Feltham, the Mirage 28 is a solid, well constructed Thames Marine production boat. 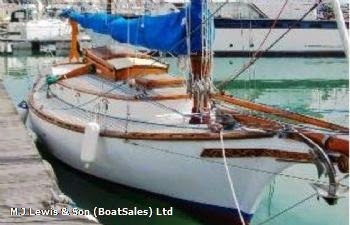 A masthead GRP twin keel sloop, she is like a much larger version of Thames Marine’s first successful yacht, the Snapdragon 23**, and of course, her accommodation is more commodious. With standing headroom throughout, and five berths, a full galley complete with stove, and a separate toilet, she is very comfortable. 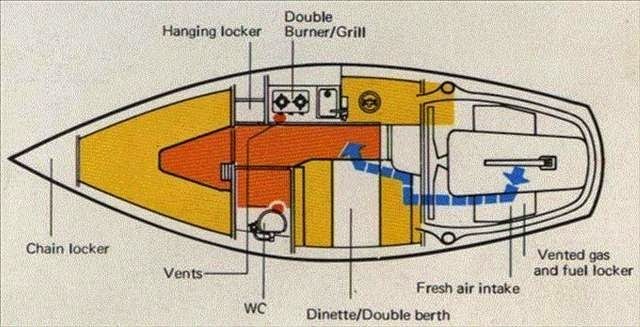 The heads compartment is accessible, both from the forward cabin and the saloon. 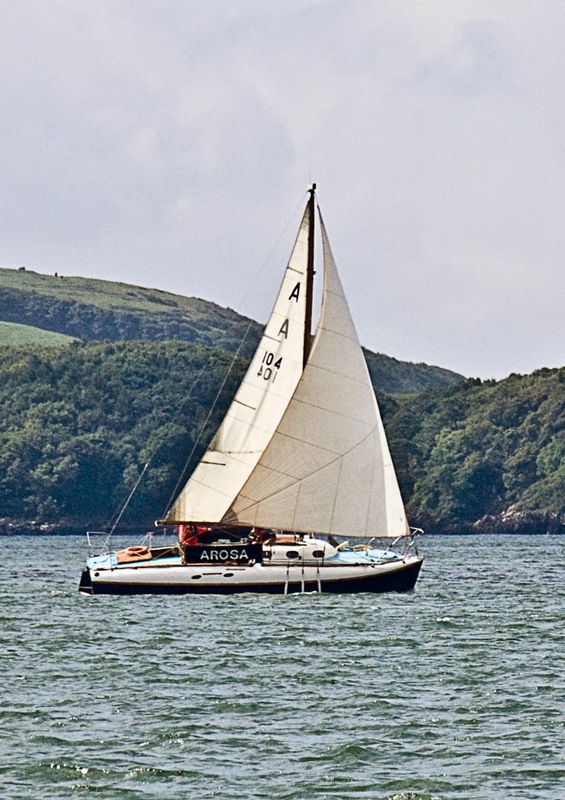 There’s a quarter berth for the skipper and a ‘v’ berth for the kids or guests up forward. All in all, she looks like an able coastal cruiser that could also be competitive in club handicap racing. If the going gets tough her inboard diesel will help reassure her crew they will make it back home by Sunday night, so as to be able to start work on Monday morning. While on a recent walk I found myself counting support struts on alloy car wheels without giving any real thought to why. All of a sudden I noticed a wheel that had 7 supports, and instinctively this didn’t seem right. As I continued my walk I discovered there were other cars having wheels with 7 struts. The rim of a circular wheel can be divided into equal parts equivalent to 360 degrees. Now, as you know, 7 cannot be divided equally into 360 to produce a whole number. In fact it produces a decimal number of 51.4285714. This got me thinking about the versatility of the number 360, since it can be divided by every number from 1 to 10 with the exception of 7 to produce whole numbers. 360 also has 24 divisors. 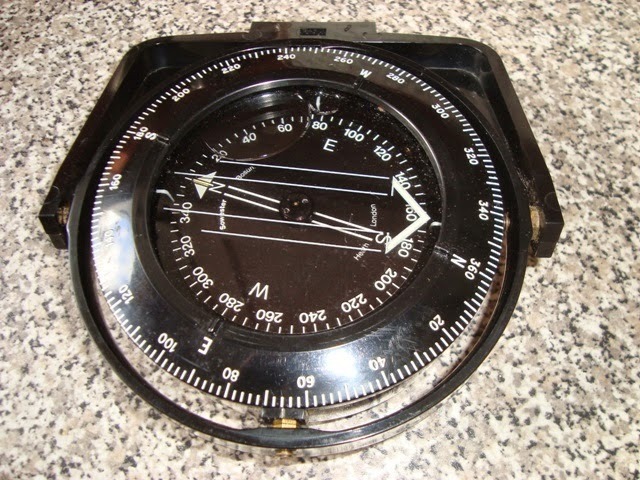 As a navigator familiar with a 360 degree compass I wondered what was special about the number. Why had it been chosen and adopted worldwide? Why wasn’t there a metric compass? After all, almost everywhere, metric has become the standard means of measuring distances, volumes and weights, why not degrees? The metric system was developed in France at the time of the French Revolution. The length of a metre was one ten-millionth of the distance between the North Pole and the Equator on a meridian passing through Paris. For determining latitude by a meridian sun sight a ship’s navigator could have done so with an instrument calibrated in decimal degrees, assuming latitudes marked on his chart were also in decimal degrees. Decimal degrees are known as grads or a dons, and as there are 100 of them to a right angle, there are 400 in a complete revolution equating to 360 standard degrees. Historically, commonsense prevailed in consideration that there are approximately 365 days comprising a year in which the earth revolves around its own axis 365 times. On an approximation that a year is equivalent to 360 days of 24 hours each, the earth moves about one degree a day around the ecliptic. Hence we have the magic number of 360 degrees. This conveniently allows for 24 time zones of 15 degrees of longitude per hour. A day can be divided into 24 hours, each of which can be subdivided into 60 minutes, each of which can be subdivided into 60 seconds. Degrees of longitude similarly are divided into 60 minutes that can be subdivided into 60 seconds. In this digital age, more commonly minutes and seconds of longitude and latitude are represented numerically as decimals, e.g., 1 degree 30 seconds becomes 1.5 degrees. 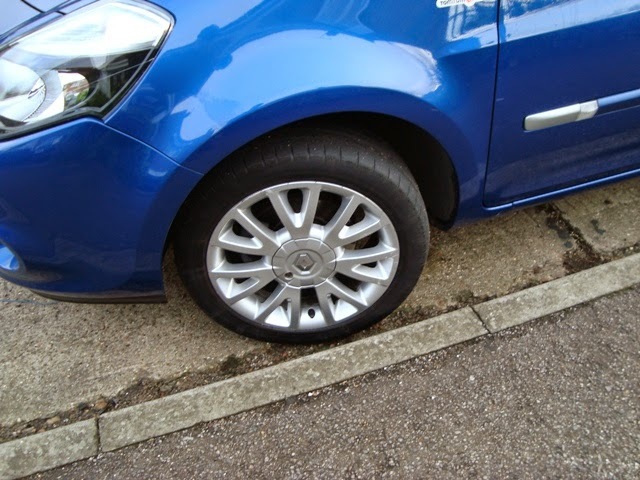 In view of the fact that designers of cars rely heavily on computer aided design I should not be surprised that some car wheels have 7 struts incorporated into their alloy wheel mouldings, and perhaps I should take more note of the digital compass on my Lowrance Expedition GPS. 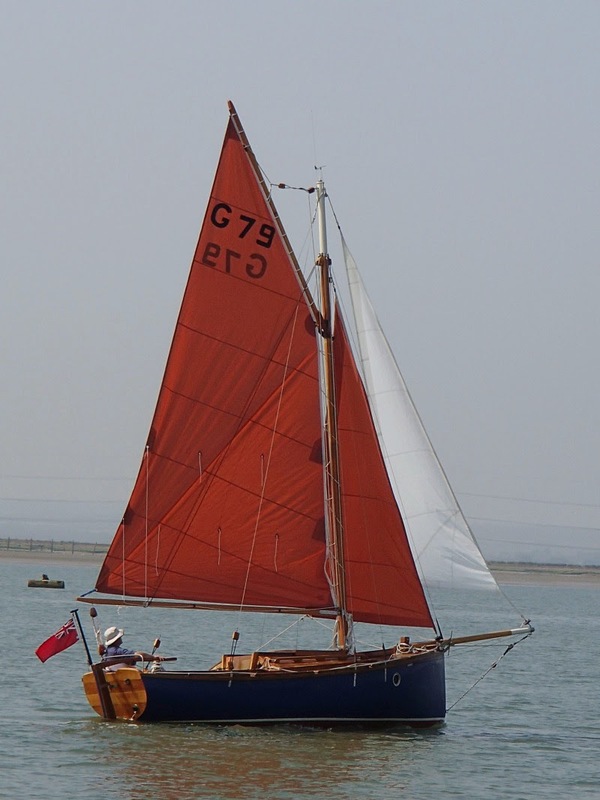 This is an early Snapdragon yacht built by Thames Marine of Canvey Island, Essex, after the firm, known as Thames Structural Plastics, moved from Rayleigh in 1962. Snapdragon 23s were built with different hull options: with a centreboard or with a long shallow keel or with triple keels. 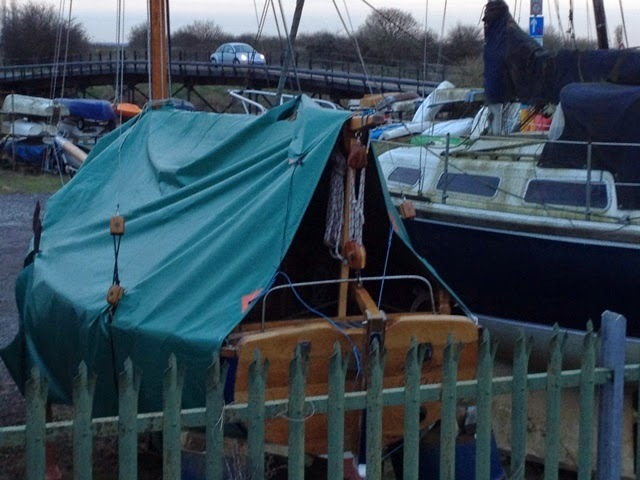 This one at Hullbridge is a three keel version. Bearing in mind she must be over 50 years old, she looks remarkably clean and well preserved. Apart from sitting headroom only, she is a very functional yacht. 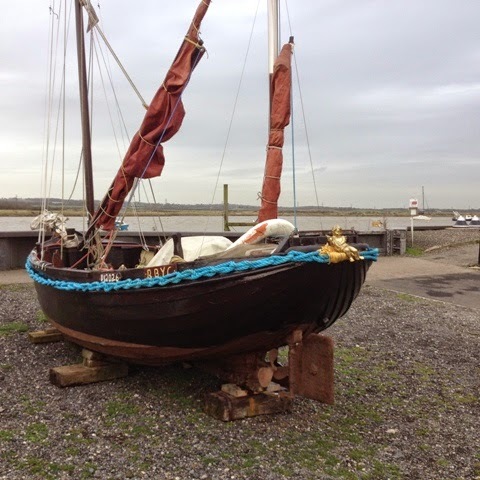 Her furling headsail and lazy jacks must have been added in more recent times. 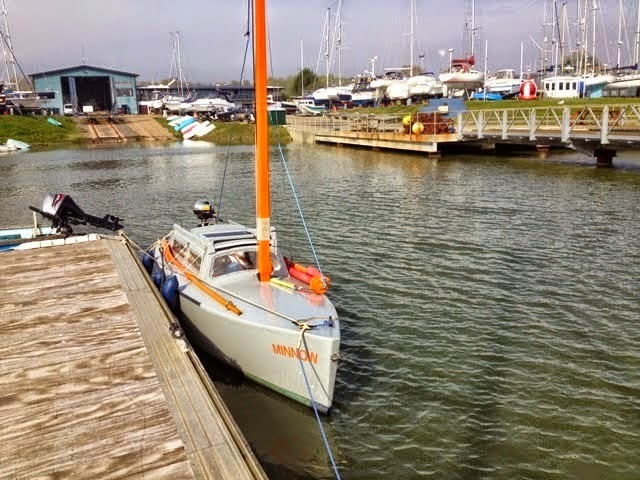 Note that she has an adjustable solar panel fitted to a staff on her starboard quarter, setting it clear of the backstay and topping lift. She has a tabernacle for raising and lowering her mast. There’s a boom claw for attaching the kicking strap. 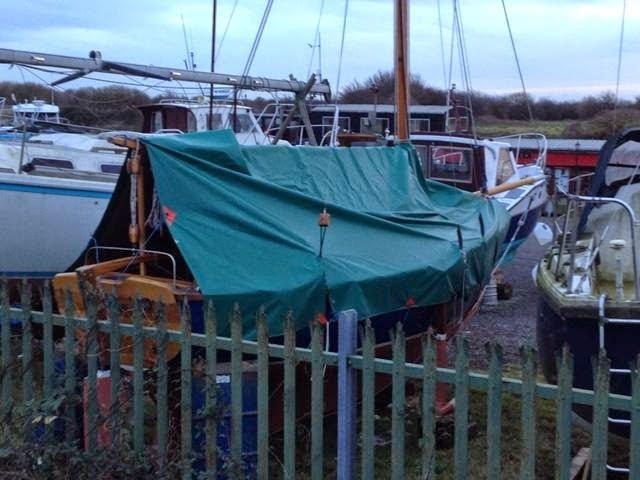 The teak Samson post is excellent for securing mooring and anchor lines, and her mast is well supported by having three shrouds either side, in addition to a backstay and a furling forestay. I have some affection for this style of yacht, since they were produced in the 1960s when I dearly would have bought one if I could. I thought these new-fangled GRP boats were ultra-modern and chic. Such a yacht was well beyond my reach as a young teacher earning barely more than £500 a year. Instead, I acquired a second-hand Torbay Class 2 Racer* for little money. She was my first ‘proper’ yacht. 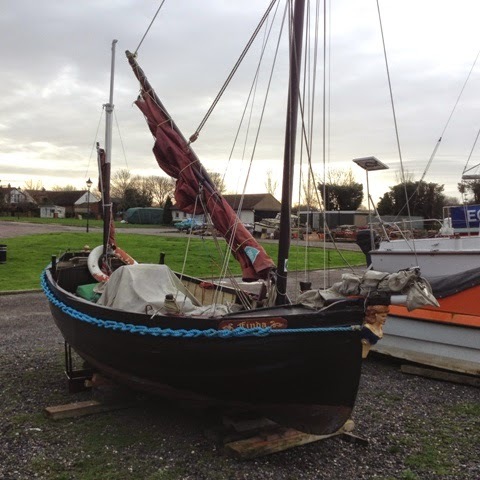 Both models were built by Thames Marine of Canvey Island in the early 1960s. It is much to their credit by way of construction with heavy lay-up GRP that these boats are still active and giving service to their owners today. 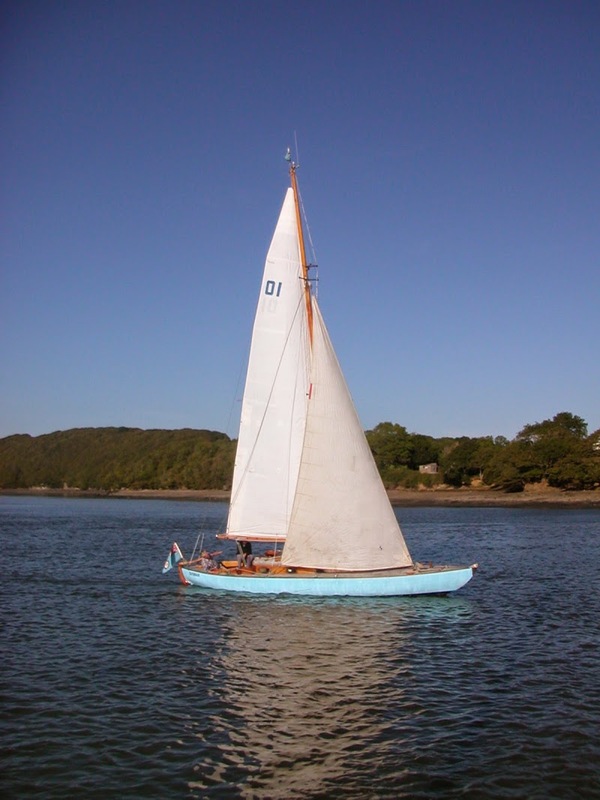 Alan F. Platt, an Essex boatbuilder, designed and built both the Finesse 21 and the Finesse 24. 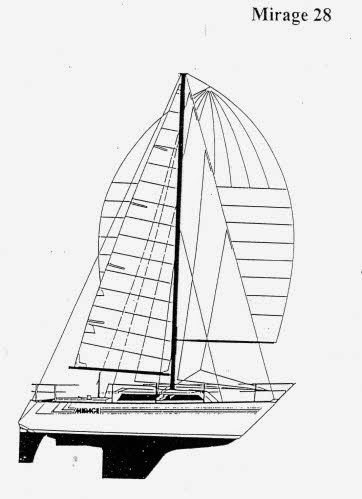 The larger Finesse 27 was also built by Platt, but she was designed by Maurice Griffiths – that’s according to Sailboat Data.com. 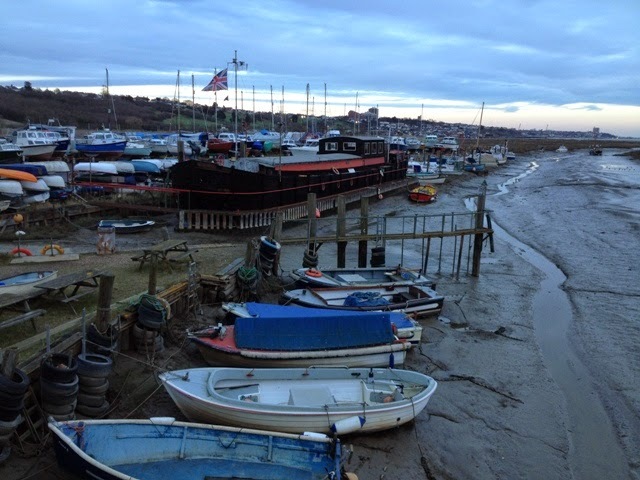 I have here two grainy photos of a Finesse 24 moored on a mud berth at Leigh-on-Sea, Essex. 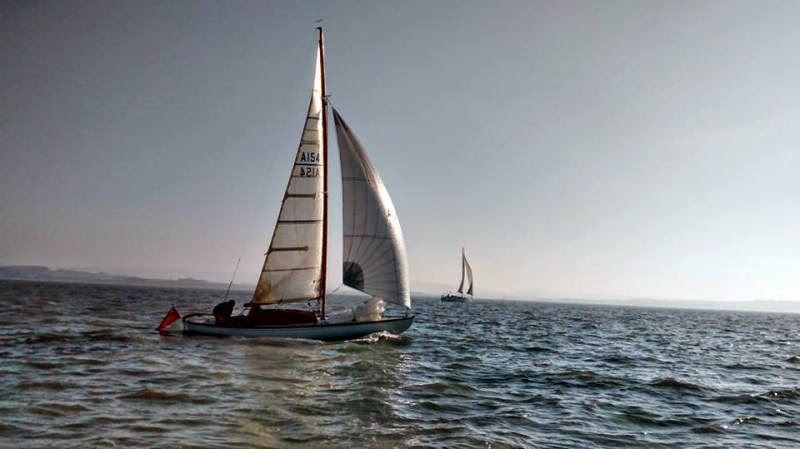 A friend of mine, who has sailed one, says she was not much cop to windward, but I doubt owners of these shallow draught wooden cruising yachts are too fussed about performance on the wind. If they find the wind is contrary, they will be happy to sheet in the main, roll up the jib, and let the reliable Yanmar diesel engine help out. When they arrive back on the mooring they will be comforted by the warmth of her varnished saloon that is fitted with a four-seat dinette and a generous galley. A F Platt (Finesse) Ltd. 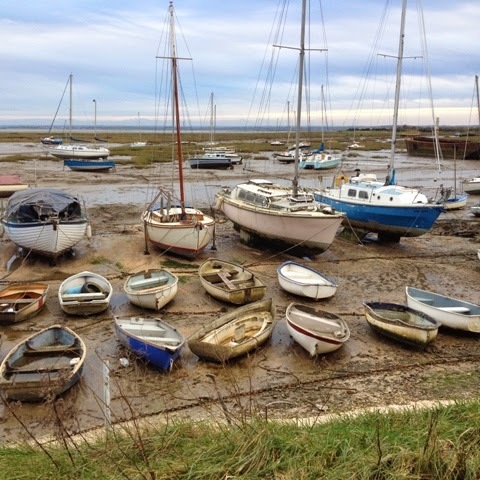 I suppose you could visit many a creek, club or marina in Kent, Essex and Suffolk, and you would find boats that appear to have been abandoned. 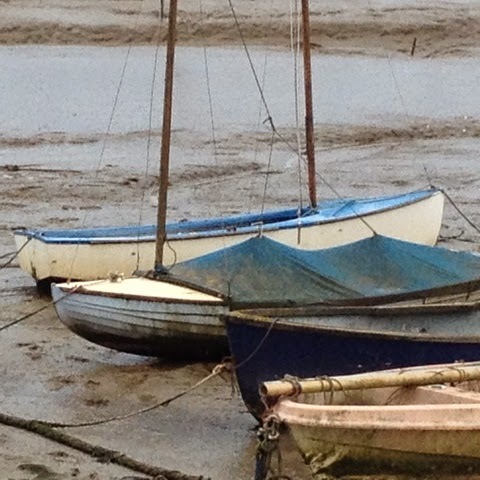 Many of these weather-beaten, dirt-scarred vessels will actually belong to owners who can no longer upkeep them. They may not have the time, energy, enthusiasm or wherewithal to do so. 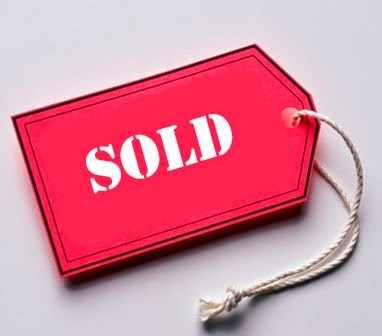 They would love to find buyers, but because of the depressed market, they cannot sell them. 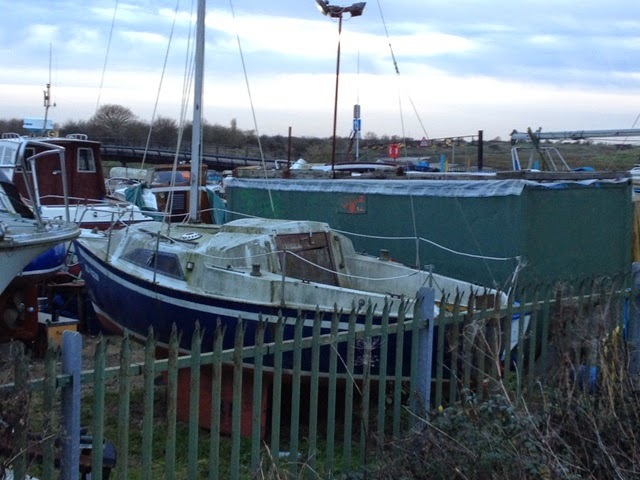 Mooring or lay-up facilities may not have been paid, so by default the owners are in danger of having their boats legally confiscated by those to whom dues are owed. 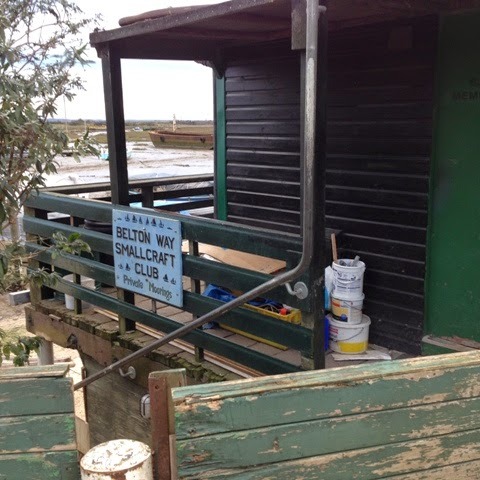 When I recently paid a visit to Leigh-on-Sea to find a Golant Gaffer that was for sale, I was amazed at the number of uncared for boats there were lying around in Leigh Creek and at two local clubs, Belton Way Smallcraft Club and Leigh Motor Boat Club. 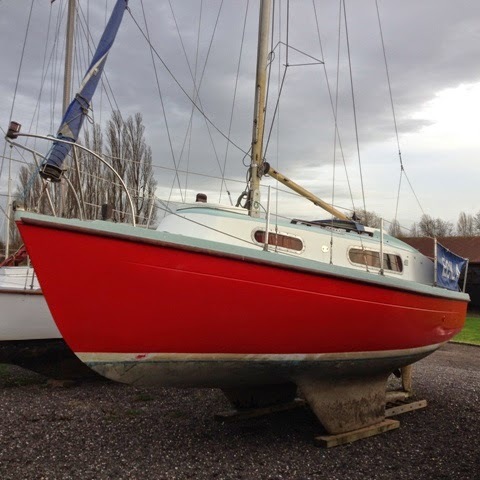 Now is the time for anyone who wants a project boat. With a little research, their owners may be found and bargains struck. Ideally, you will want to have your ‘prize’ brought home for quick and easy access. You should take into account the costs of transport to your place and back to the water. Work out what has to be done and how much cash will be required to do the job. Bear in mind the annual costs of keeping and using her. This is a short note to remind readers that ‘Minnow’ is still for sale. 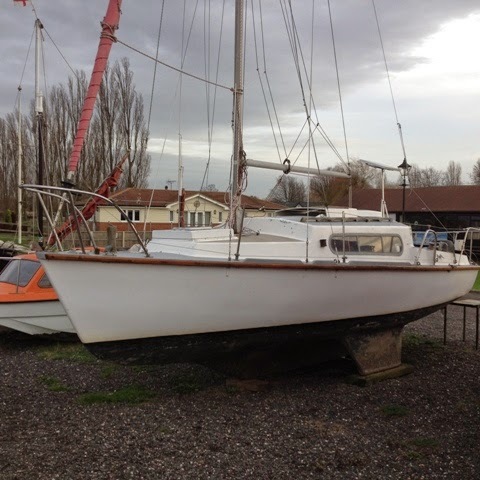 A number of people have expressed an interest in her, and some have pledged to buy her. 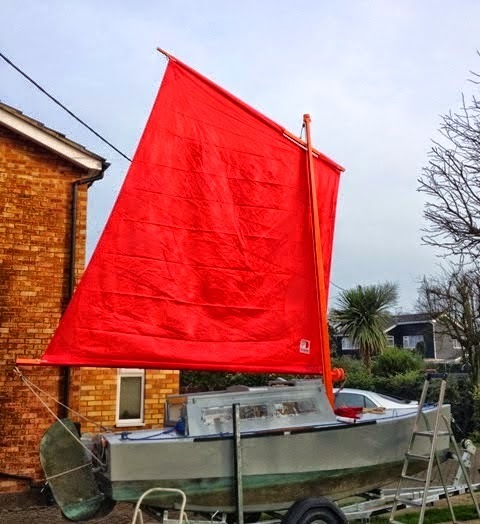 It is at this time of year that aspiring sailors plan the season ahead, and in a few weeks, those who are without boats will be looking to acquire ones suitable for them – boats that meet their budget, and preferably ready to go – no work necessary. ‘Minnow’ is such a boat. 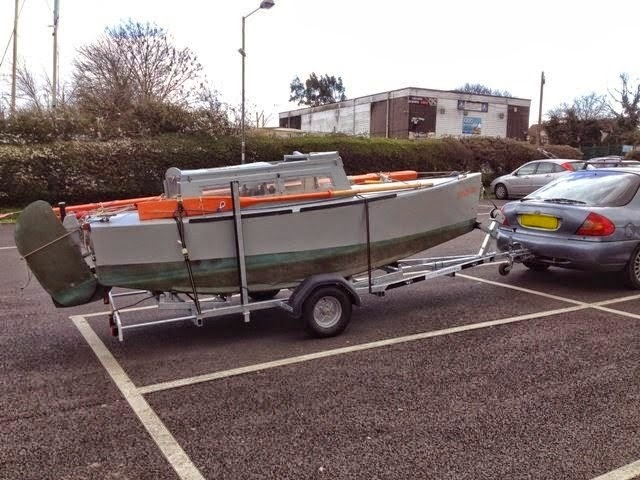 Realize that for offers in the region of £2,900 you can have absolutely everything - the boat with her road trailer, and all gear for cruising, including her GPS units and Autohelm 800. My phone number is 07588288060. 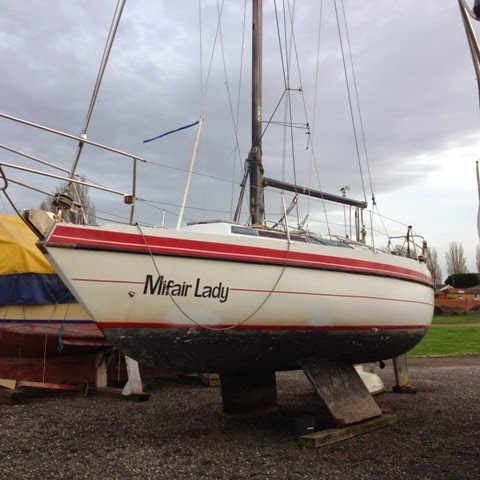 Proposed Sale of ‘Minnow’ – Is She Expensive? I have been forced into accepting that if I am to upload photos to my blog I shall have to do so by using Chrome or Firefox. I am able to open Chrome for every upload, but it’s an extra step that has to be added to the process. Therefore I am still hopeful that Google will come up with a solution for people like me who prefer Internet Explorer as their default Operating System. You will find that I have been able to supply missing photos to previous articles. Behind the scenes a number of us Bloggers have been posting to the Blogger Help Forum with the aim of trying to solve a recent problem of not being able to upload photos to our blogs. It has been reported that if we change our Operating Systems to Google, all will be hunky-dory. We can then upload our photos with no problems! That leaves us with choices – to change or not to change or to wait for a solution. It seems to me that we are being held to ransom. This should not be the case. It is my contention that Google should live up to its moral responsibility and sort the mess out. Not everyone will be happy changing their computer’s operating systems. I happen to like the one I have, which is Windows Explorer 9. It’s the one I am familiar with, and apart from my Apple mini iPad and iPhone, I have always used Windows-based systems. Big players such as Google, Microsoft and Apple are forever trying to expand their empires by ‘capturing’ more and more cyberspace users. The more they can enslave us by keeping us in their clutches, the happier they are. They learn all they can about us; then they bombard us with advertisements tailored to our interests. The more mobile phones, tablets, laptops and desktop computers that rely on their Operating Systems, the more revenue they stand to gain. Facebook and Twitter and other social media providers increasingly do the same, while we lose more and more of our personal privacy because of their relentless spying. Choices widen. Do we accept and resign ourselves to the fact that our personal privacy is being eroded? Do we believe we are being exploited? Do we want the whole world to have access to every aspect of our lives? If we opt out of Cyberspace we stand to lose what can be gained by access to it – an almost infinite knowledge base, innumerable opportunities for buying online, opportunities for expressing our opinions to a wide audience and rapid communication with anyone anywhere in the world. In these times, the benefits seem to favour opting in. We might get choked up now and again, as I am with not being able to post photos to Bills-Log unless I change to a Google OS, but that’s part of the price I might have to pay. There’s no such thing as a free lunch. There’s always a cost. We all have to pay for the tune. Please bear with me. As you’ve gathered, I have had problems trying to upload photos to the blog. This is very serious, because I am heavily reliant upon photos for illustrating the contents. Yesterday and today I sent ‘feedback’ to Google who now own and operate Blogger.com. Hopefully, they will get back to me with a solution. If a solution isn’t forthcoming, I shall have to consider archiving the blog and starting a new one, perhaps with Wordpress.com. Such an action would be very regrettable, because I’ve had a lot of satisfaction over several years blogging with Blogger.com and I would like to continue the relationship. If there are any experienced bloggers who may be able to help, I would very much appreciate it. The only official course of action is to ask questions at the Blogger Forum. There are no phone lines, texting facilities or email links to Blogger technicians. I go through the normal process of opening a photo to the Blogger platform; then a pop-up appears at the bottom of the computer screen with the words, ‘Do you want to open or save resumable (1.56 KB) from www.blogger.com?’ I then have the option of clicking: ‘Open’, ‘Save’, ‘Save as’, or ‘Open’. Whatever option I choose, it makes no difference – nothing happens. Where a thumbnail of the photo to be uploaded normally appears, there is a blank square with a small cross in the bottom right-hand corner. The cross indicates a failed attempt at uploading. If I click the cross, a pop-up appears with the words, ‘Lost connection to server’. My URL is http://bills-log.blogspot.com and my browser is Windows Internet Explorer 9 - the very latest version, fully updated. This problem started on Wednesday, 14th January, 2015. My computer is a Dell Studio laptop that I have had for several years. Now and again I change the wallpaper to stimulate interest and pretend I have a new computer. Mostly I choose backgrounds portraying marine scenes. These are nearly always original photographs taken by me. My cameras are not sophisticated. I have a Sony Cyber-shot 7.2 Mega Pixels camera and my iPhone 4S which I mostly use. Professional photographers always do a better job than me. They know their craft, and they have specialist equipment; therefore I like having their photos as backgrounds. Yacht Racing Images of the Year presented by Mirabaud, turn up some corkers. Quite often they are action packed, which is not so good for wallpapers, since saved folders can be difficult to find amongst the clutter of visual imagery. Sadly, I cannot reproduce any of the Mirabaud collection here, because they are all copyrighted, but you can click the first link below to see them. 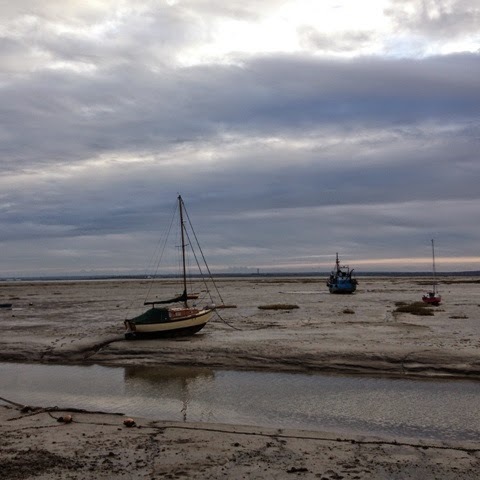 Out of curiosity I paid a visit to Leigh-on-Sea to discover if I could locate the Golant Gaffer for sale that was listed on yesterday’s blog. 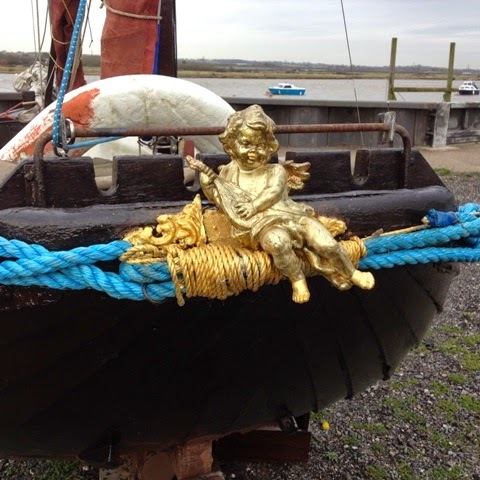 I noticed she was at Leigh Motorboat Club, which is about a quarter of a mile up Leigh Creek, beyond Belton Way Small Craft Club. I couldn’t find unobstructed views of the yacht, but I was able to read her name on the transom, i.e., ‘Blue Goose’. 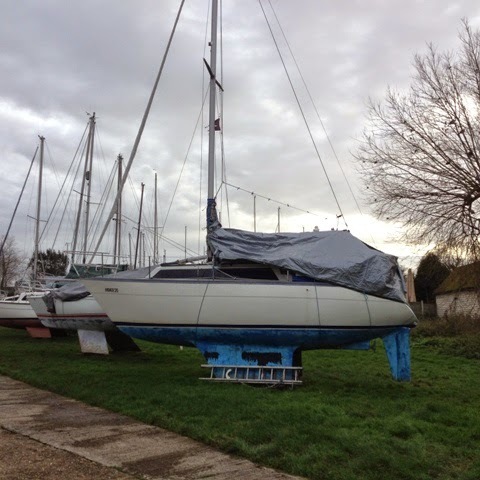 These yachts are advertised for sale at Apolloduck.co.uk today, 13th January, 2015. Links to them may shortly become defunct, but photos copied from the adverts will remain here - by courtesy of Apolloduck.co.uk and their advertisers. I’ve chosen these lovely yachts because they are of interest to me, not that I have money to buy them, but because I like them. 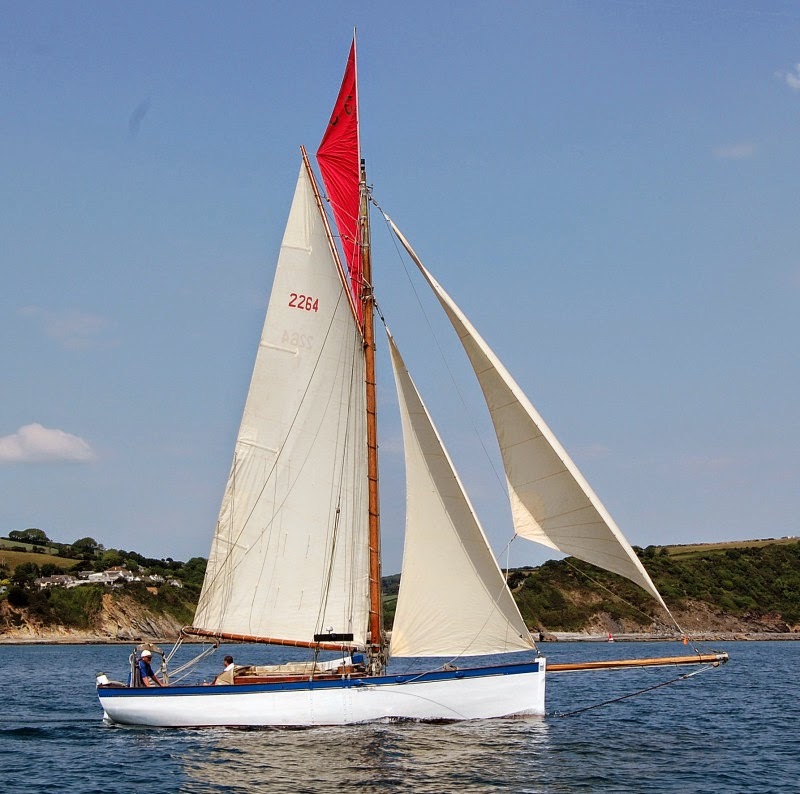 The most expensive, at £65,000, is an Alan Pape modern rendering in steel of an 1895 Looe Lugger. The cheapest, a beautiful Tumlare designed by Kund Reimer of Sweden, is a favourite. 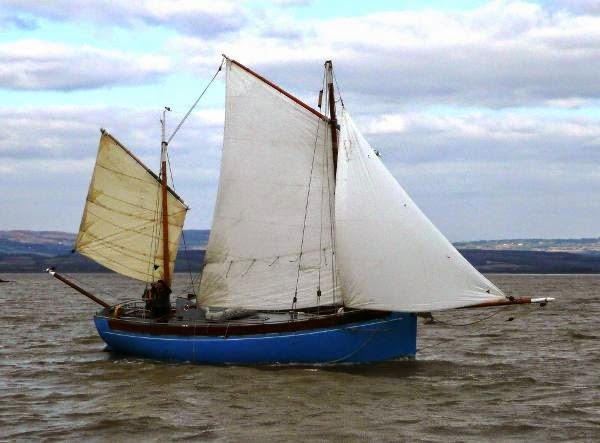 I first learned of Tumlares when reading Adlard Coles’ ‘Heavy Weather Sailing’, in which he describes surviving a gale aboard one in the English Channel. Another of my favourites is Uffa Fox’s Fairey Atalanta. Two are available at Apolloduck, but the one featured here does not reveal the asking price. 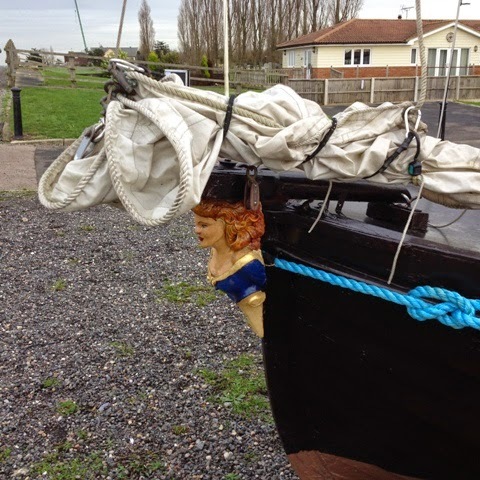 The Golant Gaffer is rather special on account of her hull being built by a professional for himself, but for reasons unknown, he did not finish her. 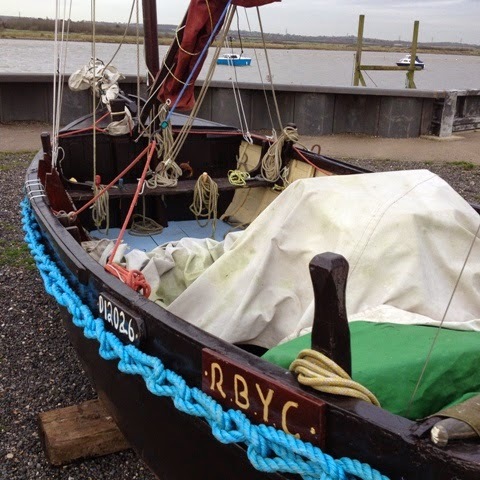 The current owner completed her to a high standard, and she’s only been in commission for two seasons. You need but look at the photos to appreciate the quality of workmanship. 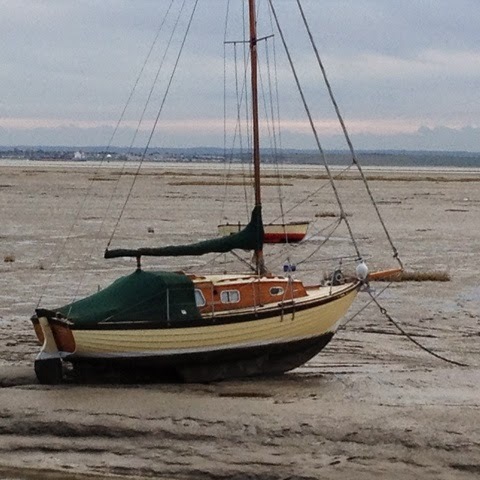 If I had the cash, this would be the boat for me , and furthermore she’s virtually on my doorstep at Leigh-on-Sea!